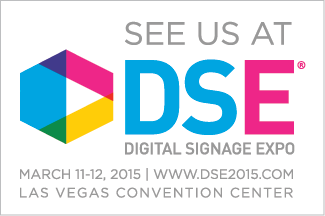 We are excited to be attending DSE 2015 at the Las Vegas Convention Center March 10-13. This will be a great opportunity to demonstrate some of our latest technology and platform features including beacons, adHawk analytics, and and array of sensor integrations from facial recognition to barcode scanning. Visit us as booth 637.